NEXT-TT is a software platform for managing timed-text, dubbing and localization services of any type of content, or managing teams of translators, audiovisual professionals, and creative freelancers, providing an ultra-secure and super-fast private workspace, tools, and workflows for ensuring quality. NEXT-TT is a powerful binary solution bounding together enterprise trends with common user’s convenience. Accesses both local and online resources. You can successfully operate with HBO applications, Netflix, etc. NEXT-TT is a hybrid platform operating both with web and desktop data. The Platform overcomes the limitations of the programs using only local or only online resources. It saves user’s time and avoids the inconvenience of switching numerous applications to access various information. Dubbing of protected materials through integration with professional DAW like Pro Tools, Sony Vegas Pro, etc. For all professionals who value working speed and software flexibility, we created a unique hybrid platform combining LAPIS (Limitless Advanced Powerful and Intelligent System) + SubtitleNEXT (the Ultimate Timed Text Service). The exclusive hybrid approach is designed to give users greater freedom of choice in how they work with desktop or cloud applications. 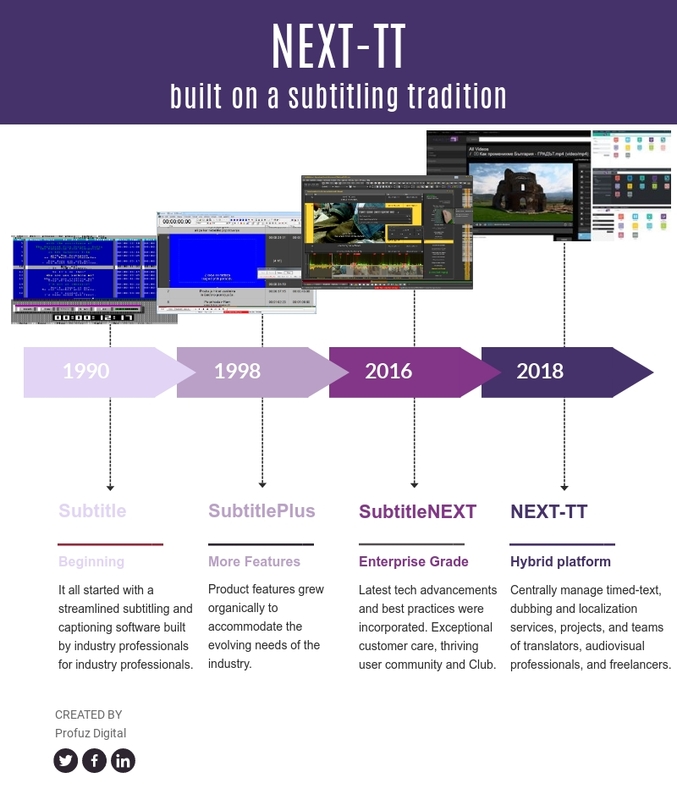 There is also a possibility to use the two platforms, SubtitleNEXT and LAPIS separately. To ensure the best security of your data, we’ve incorporated several levels of protection of the material. The technology used for encryption (Proprietary Digital Rights Management) enables a user to choose the needed level and operates totally safely.